Nothing beats the taste of a quality peach picked ripe, straight from the tree. This is a pleasure that is only available to you if you grow them yourself, because store peaches are picked while unripe so they will not bruise in shipping. The Hale Peach is renowned for its delicious flavor and it is also one of the very best peaches for colder regions, where other varieties may not do well. It grows especially well in zone 5 and is a great choice for the New England region, where it was produced originally. The Hale Haven Peach Tree ripens later in the season, so you will have peaches into the early fall to enjoy fresh, or for pies, jams and preserves. 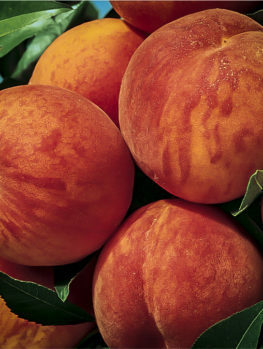 This peach is an ideal choice for beginners because it is hardy, vigorous and disease-resistant. Fresh peaches picked ripe straight from the tree are one of the great joys of summer. Nothing equals biting into that juicy, flavorful flesh with its sweetness and delicious aroma. The season is short and within just a few weeks it is over for another year – unless you extend the season for as long as possible by growing varieties that ripen at different times. 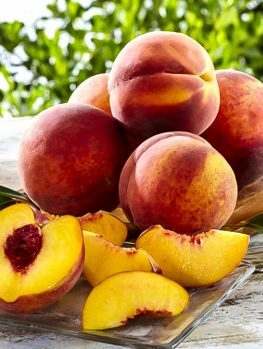 The Hale Peach Tree is famous for ripening late in the season, so when grown with other varieties it will continue to give you ripe, juicy peaches straight from the tree weeks after other varieties are just a beautiful memory. There is an additional benefit too, because late-ripening peaches flower later, they avoid the damage from late frosts that can end the peach season for that year before it even starts. 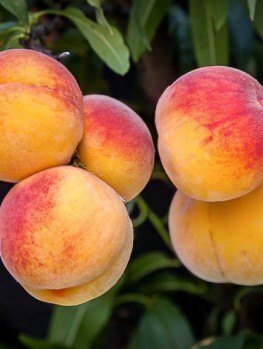 So if you live in cooler areas, like zones 5 and 6, growing the Hale peach is not only a way to extend the season but insurance against frost so that you will always have at least one tree giving you a bumper crop of peaches. 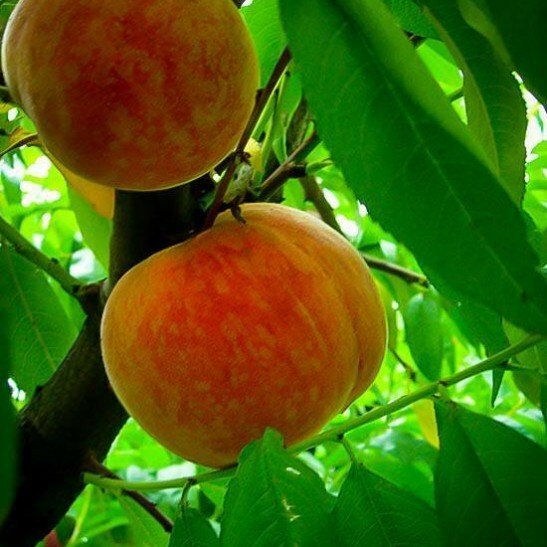 Your Hale Peach tree will grow around 15 feet in height, and 12 feet across. 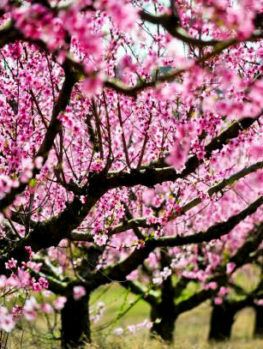 Each spring the bare branches are covered with beautiful pink blossoms, quickly becoming tiny green fruits which swell over the summer until they are large peaches. The skin is yellow with a pink blush when ripe and this is a slipstone peach, so the flesh comes easily away from the stone without any fuss or waste. There is very little peach ‘fuzz’ on the skin, so you do not even need to peel the fruit and it can be eaten straight out of the hand. The flesh is yellow, juicy and full of flavor. 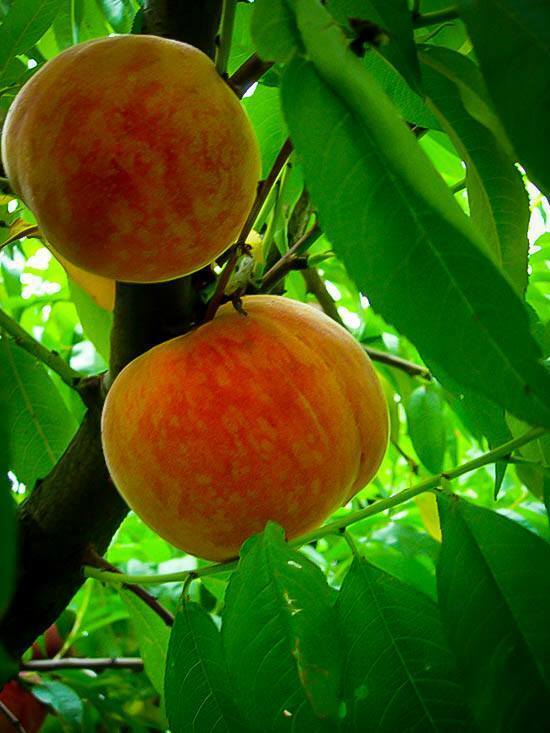 The Hale Peach tree grows best in a sunny, sheltered position, from zone 5 all the way into zone 9. Warmth is important both for healthy growth and to ripen the fruit. It prefers a sandy, loamy soil that is well-drained, so plant on a slope rather than in a hollow. Before planting your peach tree, dig a hole three times the width of the pot and mix some rich organic material, like garden compost or rotted manure, into the soil. Place your young tree in the hole, being careful to plant it at the same depth it was in the pot. Take a sharp knife and make three vertical cuts one inch deep from top to bottom of the pot about one inch deep to free the root system and encourage new roots to spread outwards. Replace most of the soil, water well, let the water drain away and then replace the rest of the soil. Mulch the root-zone with more of your organic material, but leave the trunk itself free of mulch. Apply new mulch over the roots each spring, coming out to the limits of the branches and keep the area beneath the tree free of grass or weeds. 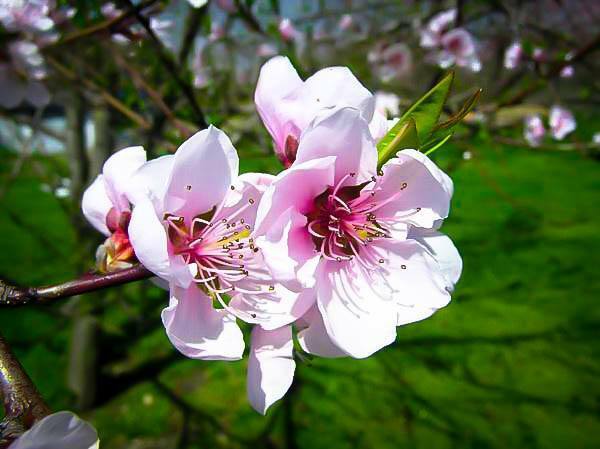 Most peach trees will produce fruit well when grown on their own, but the Hale Peach tree needs a second variety of peach or nectarine to pollinate its flowers. Since it is a late-harvesting variety this is a good thing, since you can grow an earlier variety and have fresh peaches all summer. 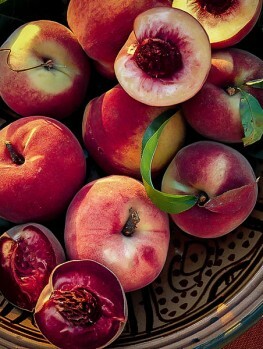 Any variety of peach or nectarine will be suitable for this, except for Elberta. 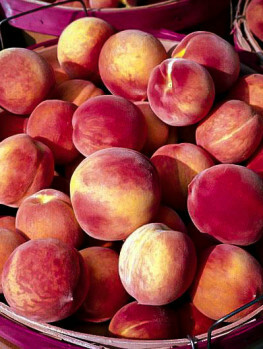 We recommend the Majestic Peach if you live in a cool region, or Red Haven, Scarlet Prince or even the Flavortop Nectarine. Prune your tree right from the beginning of its life. Always keep the center of the tree open and do not let the branches become crowded, so that sunlight can reach right inside to encourage flowering and ripening. Prune in late winter. 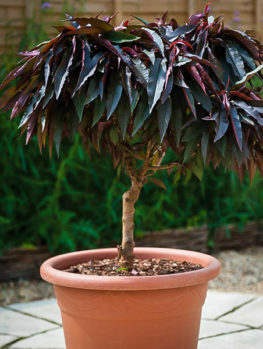 Begin by developing several branches radiating out from the trunk in an open, vase shape. Each winter remove shoots that try to grow straight up in the center of the tree and shorten new shoots back to a few inches in length. This way you will get lots of flowers and your tree will remain open and yet compact in size. Once your tree is bearing well you should remove young fruits when they are about the size of a quarter, just leaving one peach every 8 inches along the branches. This is to develop good-sized fruit; otherwise you will have a lot of very small peaches. The major limitation to growing peaches is cold, especially spring frosts which destroy the flower buds. In earlier times America farmers experimented with many crops in different areas before finding the most suitable ones. 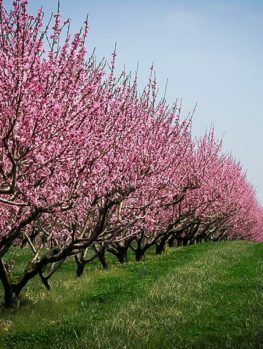 By the end of the 19th century peach growing had been abandoned in New England because of cold winters, but at an orchard in Glastonbury, Connecticut there were 7 trees that had been planted decades earlier which fruited regularly, grew vigorously and were disease-resistant. The trees were on a farm belonging to George Howard and his brother J. H.
The brothers struggled to make a go of their farm and finally became successful with these special trees and early in the 20th century they had 350,000 peach trees growing. Those special trees were named ‘J.H. Hale’, and the Hale Peach Tree is that super-hardy, cold-resistant and vigorous tree that is still being grown today wherever peach lovers in colder regions need a reliable tree. The Hale Peach Tree is a special plant that must be reproduced from trees of the correct variety. Our trees are produced the right way, from stem pieces grafted onto roots that will keep the tree healthy and control its size. Avoid cheap, seedling trees that will not be true to the correct type and will just be a disappointment. Our trees are all true to the original and correct variety. We are constantly receiving new stock to ensure that customers get the best-quality plants, but supplies of this popular variety are always limited, so order now to avoid disappointment.